Strategy vs investment products are a crucial first step in building asset allocation models. Investment products (such as stocks, bonds, real estate, mutual funds, exchange-traded fund, etc.) are simply tools for implementing our investment strategy. Our strategies are based on real-time market data, technical and fundamental analysis, valuation of each asset class, and client risk tolerances and income needs (if any). It’s like Charles Darwin said…It’s not the fastest, strongest, or smartest that survives; it’s the most adaptable. We constantly evaluate our investment thesis and are willing to make adjustments quickly when the investment climate changes. We utilize a multi-factor approach in our portfolios including: sector rotation, value vs growth, stocks vs bonds (or cash), domestic vs international and more. We actively manage our client’s portfolios among the five assets classes available which include: Cash, Fixed Income (bonds), Equities (stocks), Real Estate, and Commodities. With all due respect to Nobel Prize winning economist Harry Markowitz and Modern Portfolio Theory (MPT), asset allocation, for many, has provided very little protection from the devastating market declines we have seen since 2000. For some investors (especially those who rely on their portfolios to produce income) using Markowitz’s Buy and Hold allocation strategy has left them unsure if their life savings will actually last a lifetime. 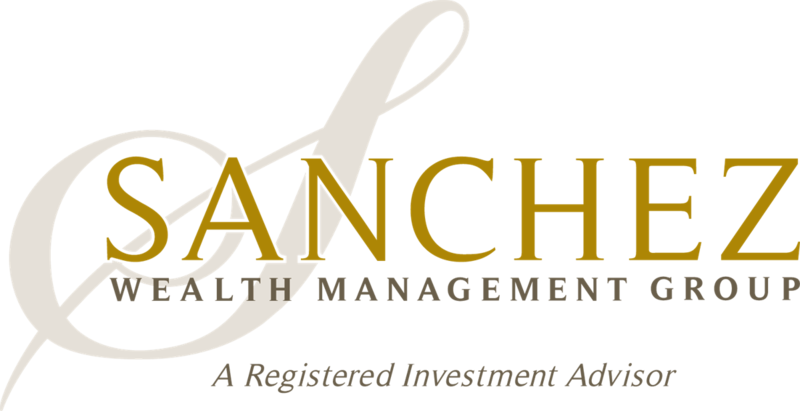 Sanchez Wealth Management Group, LLC utilizes an investment strategy we call Advance and Protect. We start with the premise that CASH is a viable asset class during periods of severe market disruption OR if all other asset classes are unfavorably valued. We only put your hard-earned capital in harm’s way when we feel the potential rewards outweigh the risks. We utilize a proprietary dashboard of economic indicators along with technical tools that allows us to proactively manage your capital. Unlike the inactive or reactive Buy and Hold strategies used by most firms, we never add a position to your portfolio without establishing a sell-discipline. Each investment product used in our client’s portfolios is put through a rigorous due diligence process. We sift through thousands of investment products and strategies in order to identify the suitable fit to express our investment thesis, are cost effective, have high ethical standards and stewardship, and time-tested performance. We continue this process throughout the time we own these products through on-going due diligence including manager visits, performance screening, tracking error, and peer-group measurements. Investing involves risk including loss or principle. Some investment products mentioned carry higher levels of risk. Past performance is no guarantee of future results. No strategy or product ensures a profit or protects against a loss. There is no "right" time to enter or exit a market. There is no guarantee that the investment objective will be met.